This bedside table measures 28 inches tall when complete and is perfect for the side of the bed. Here are the free woodworking plans to build it. A Nightstand free SketchUp project. This is a link to a Google 3D SketchUp drawing for a nightstand. You will need the SketchUp software to download this drawing and its freely available online. 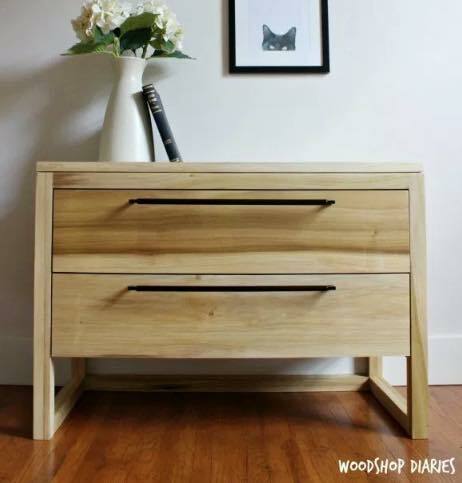 Build this nightstand which features a pullout shelf, as well as three large drawers perfect for storage! Although this is a plan for a nightstand, it could easily be used for an end table. Build it using these free DIY step-by-step instructions. Nightstand or Side Table for children. 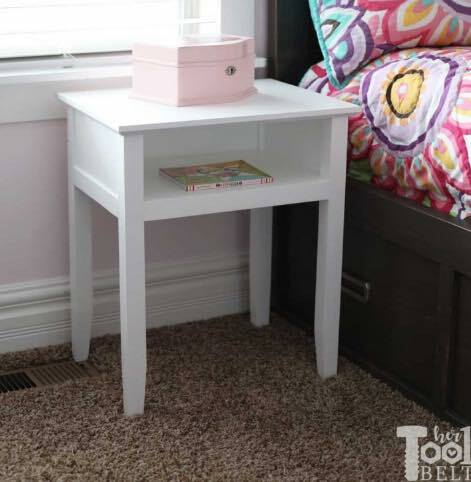 Build this childrens nightstand or sidetable and paint it a fun color to coordinate with their room. Free plans are located at the link.